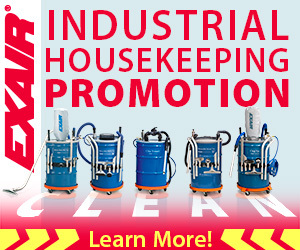 Chip Trappers – Perfect for CNC Sump Cleaning and… Restaurants? Although it may sound a bit strange, I’ve recently found an application for the 110 gallon Chip Trapper in a restaurant setting. The application came to life when I started working with a wastewater treatment company which aims to use Chip Trappers as a means of servicing quick service restaurant’s water traps. The need is rooted in a reliable way to claim the water from these traps, and filter any solid particulates. The current solution uses a service truck with a large gas-powered generator and electrical pump. In order to remove the water from the facility, a vacuum hose from the pump to the water trap has to be routed into the restaurant, proving cumbersome and prone to creating a mess. A tank on the service truck holds the dirty water until transport to the treatment facility, where solids, oils, and greases are removed from the dirty water. In most cases, the filtered liquid from the Chip Trapper is fed back into the original location. This works wonderfully for CNC applications which can filter the coolant in their sumps, remove chips and debris, and then return the filtered coolant into the machine. But in this case, the dirty water will be evacuated offsite and treated elsewhere in order to remove any oils and greases. 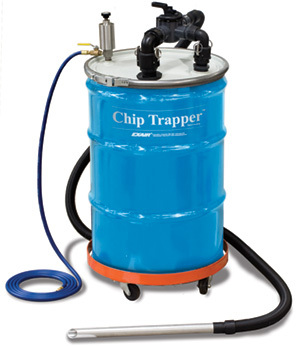 So, why the Chip Trapper and not simply a Reversible Drum Vac? The Chip Trapper provides an advantage for the wastewater treatment in the ability to filter out solid particulates prior to filtering greases and oils. By eliminating this step from the water treatment process, and by providing a mobile and easy-to-use platform to remove the water from the facilities, the Chip Trapper can make the job easier for this end user. And, if testing goes well, there may be potential to incorporate the Chip Trapper into a new system, shared nationally with all of their facilities. While we would love to see this solution be replicated for additional facilities, we’re happy to be able to provide a solution even for a single end user. 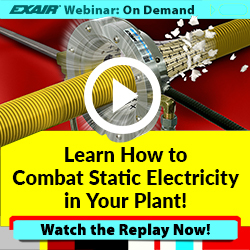 If you have an application and would like to discuss an EXAIR solution, contact an EXAIR Application Engineer.